Our team of physicians, scientists and experts in product development, research, product safety, regulatory affairs, and quality assurance work hard to ensure that Mannatech’s products are safe, high-quality and validated. Our product development experts explore new technologies to develop innovative products that meet the needs of today’s sophisticated consumer. Our research scientists and physicians oversee pre-clinical and clinical testing of products and product ingredients. To more effectively meet our research goals, we collaborate with researchers around the world. Many of the publications that report the results of these studies are posted in Publications. Mannatech’s Regulatory Affairs experts ensure that our products and product claims are compliant in the countries in which they are sold. Our Quality Assurance team follows country-specific regulations to ensure that our products continue to be of the highest quality. Mannatech’s Product Safety Monitoring program—which has been functioning for over 10 years, long before it was required by the FDA—tracks and maintains an extensive database that continues to help ensure the safety of our products. Spanning more than 17 years, Mr. Switzer’s product development career includes technical and management experience in developing a variety of products for the global market, including dietary supplements, foods, prescription and OTC drugs, confections and skin care. 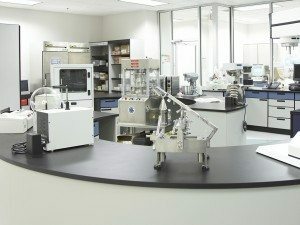 After graduating from East Texas State University with a Bachelor’s Degree in biology, he began his career in product development with a pharmaceutical company. He subsequently held various positions of increasing responsibility in the pharmaceutical industry, culminating as the Head of Product Development and Validations. In 2002, Mr. Switzer began working for Mannatech as a project manager in the Product Development and Regulatory Affairs departments. He now serves as Mannatech’s Vice President of Research and Development and is responsible for Product Development, Quality Assurance, Product Science and Substantiation, Clinical Studies and Adverse Event Reporting. Ms. Barg joined Mannatech in 2005. As a part of the Regulatory Affairs Team, she provides initiation, guidance and oversight for new product labels and labels requiring revision (due to ingredient changes, country-specific updates or changes in regulations) for Australia, New Zealand, Singapore, Japan, South Korea and Taiwan. She also provides technical support for new and current products in Australia, New Zealand, Singapore, Japan, South Korea and Taiwan regarding ingredient acceptability, possible claims, registrations and listings. From January 2005 through June 2011, Ms. Barg was a scientist on Mannatech’s Research and Development Team. She earned a BS in Animal Biology with a minor in Chemistry from Tarleton State University and an MS in Industrial Chemistry from the University of North Texas. Mrs. Fuller handles the administrative and scheduling tasks for Mannatech’s R&D/Technical Services team, including payroll, budgets, meeting schedules and travel. She provides administrative support to Mannatech’s CEO and Chief Science Officer, Dr. Robert Sinnott, and serves as the head of Mannatech’s administrative assistants’ team. Dana joined Mannatech in 2007. As a member of Mannatech’s Regulatory Affairs team, Ms. Hunter works closely with other Mannatech teams and product manufacturers and vendors to provide support for the production of new product labels and labels requiring revision for Australia, New Zealand, Singapore, Japan, South Korea and Taiwan. Her tasks include label processing, documentation and compilation utilizing necessary software, and the preparation of required documents for international governmental regulatory agencies. She joined Mannatech in 1997. Dr. Maddela, Director of Mannatech’s Clinical Research and Scientific Affairs, oversees the administration of product clinical trials and Mannatech’s product Safety Monitoring Program. He ensures Mannatech’s adherence to Standard Operating Procedures, Good Clinical Practice and other regulations set by national and international agencies. Dr. Maddela earned a Bachelor of Science in Public Health in 1982 from the College of Public Health at the University of the Philippines and his MD in 1986 from the College of Medicine-University of the East in Metro Manila, Philippines. In 1990 he obtained his Master of Public Health (MPH) degree with Distinction from the Braun School of Public Health and Community Medicine at the Hebrew University in Jerusalem, Israel. He completed the Clinical Research Professional Development Program at the Kriger Research Center in New York City in 2006 and participated in the Clinical Trials Management course in the Graduate Summer Institute of Epidemiology and Biostatistics at the Bloomberg School of Public Health of the Johns Hopkins University in Baltimore, Maryland in 2007. Dr. Maddela is a Certified Clinical Research Professional (CCRP). The Society of Clinical Research Associates (SOCRA) awards the CCRP designation to health professionals who have demonstrated an internationally accepted level of knowledge, education, and experience in clinical research. Dr. Maddela has also completed coursework on various topics related to Public Health, Clinical Research, Data and Project Management, and Leadership with SOCRA, Coursera, Bloomberg School of Public Health- JHU, Vanderbilt University, The University of Texas at Arlington, and the South Central Public Health Partnership. As Quality Manager, Ms. McNair is responsible for managing processes and policies to ensure that Mannatech is producing and selling the highest quality products. This includes the enforcement of these processes throughout the company and its affiliates, with an emphasis on proper documentation, auditing, and corrective and preventative actions (CAPA), all of which result in continuous process improvement. Ms. McNair earned a BA in Chemistry from Mississippi State University and is a Certified Quality Auditor (CQA) by the American Society for Quality. She joined Mannatech in 2003. As a leader in Mannatech’s Product Development team, Ms. Patel takes abstract product ideas and develops them into feasible formulations for new products. She also helps maintain the momentum of products in Mannatech’s product development pipeline. Prior to joining Mannatech, Ms. Patel led the commercialization of sterile products for a Chicago-based pharmaceutical company. She has also worked for food and cosmetic development/manufacturing companies in Florida. Ms. Patel earned her BS in Chemical Engineering from the University of Florida. She joined Mannatech in September 2002. As a member of Mannatech’s Research and Development team, Ms. O’Grady works with U.S. and International offices and manufacturers to analyze and process all product quality and safety reports in accordance with laws governing dietary supplements. Her tasks also include the preparation of required documents for FDA reporting and the management of Kosher and NSF certifications of Mannatech products. In addition, Ms. O’Grady assists with clinical research projects. Lisa began her career at Mannatech in 1997 in the Call Center, where she was quickly promoted to a Supervisor position. She later worked with the Art and Design team in Marketing. Ms. O’Grady has been with Mannatech’s Research and Development team since 2004.